When we seek out very old cinema, we usually watch the celebrated classics first. Moving from one safety net to another, we construct narratives about how things used to be. For instance, it has become a cliché to say that the years just after Independence were a time of Nehruvian idealism, best represented by Raj Kapoor’s early work. Black-marketers and other villains did exist onscreen, and filmmakers like Bimal Roy dealt with evils such as caste discrimination, but there was usually a strong note of affirmation in the end: young men and women were saved for a bright future; principled nation-building was presented as a real, sustainable goal. 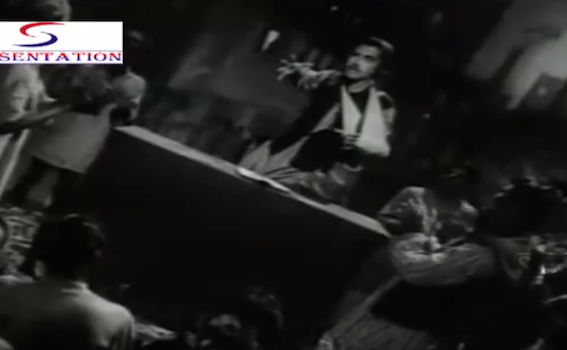 Later (this conventional narrative has it), the eroding of those dreams was depicted in more hard-edged films such as Satyakam (1969). 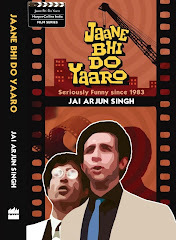 And a generation after that, young people who had never firsthand known the idealism, only the disillusionment, could make jet-black satires such as Jaane bhi do Yaaro (1983); it was now possible to laugh openly about our woes. Occasionally, however, one stumbles on an old film that resists being fit into a linear historical pattern. Such a film might show that the distant past wasn’t as dewy or rose-tinted as many of us – traumatized by the deluge of bad news in our own information-loaded times – like to imagine; that the more things change, the more they remain the same. 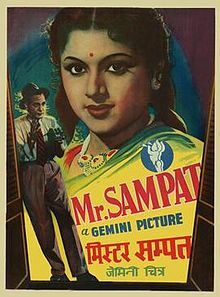 I’m thinking about SS Vasan’s Mr Sampat, which I was introduced to at a recent talk by the film historian Anil Choubey, and later watched in full on a faded YouTube print. 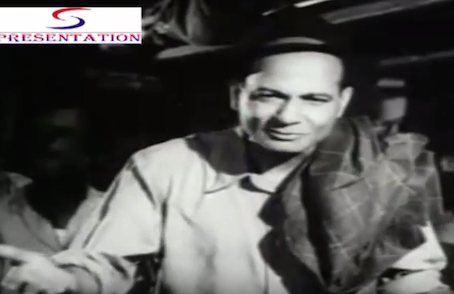 Based very loosely on RK Narayan’s novel Mr Sampath – The Printer of Malgudi, this 1952 film is outwardly breezy in tone: its title character, a gentleman rogue played by Motilal, spends all his time conning people and blithely slipping away whenever things get hot. (“Have to go,” he says in English, “I have an important engagement. Cheerio.”) In fact, his very first words in the film’s opening scene are a sly caution about himself: most people these days are crooks, he tells fellow train passengers – who are goggling at his suave confidence and bearing – and you can never tell who they are, they look so decent. Yet this is also a sharp, often cynical satire, and some of its best moments involve performances staged by an activist theatre group and its popular lead actress Miss Malini (played by Padmini) – it is here that the film sounds a clarion call for change while also showing a pragmatic awareness of how deep-rooted society’s problems are. Little wonder that poor people sing about there being no place – “Kahin bhi jagah nahin” – for them anywhere. Buses are overcrowded, so are hospitals and even jails. We would die and go to hell, one man says, but even there, God would tell us “jagah nahin”. One of my favourite sequences begins with another song that has obvious resonance today. “Achhe din aa rahe hain (Good days are coming), Hurrah!” exult a group of dancers. This is the precursor to a fantasy scene set a decade later, in a utopian India of 1963. Time-travelling to this glorious new place, Miss Malini and a friend watch as people buy things at a departmental store and deposit the money in a box (no cashiers needed; everyone is honest), and ping-pong tables fill a police station (there is no crime; the cops have to keep themselves occupied). Let’s stay here and not return to 1952, the friend says, to which Miss Malini replies: oh no, this 1963 is just a dream; it is up to us to go back to our time and work hard to make this dream a reality. That sounds like plain old-fashioned message-mongering, but Mr Sampat’s dominant tone is not so simple or naïve. Even the “Achhe din” song has a coda where the singers wonder sarcastically where the promised days are. 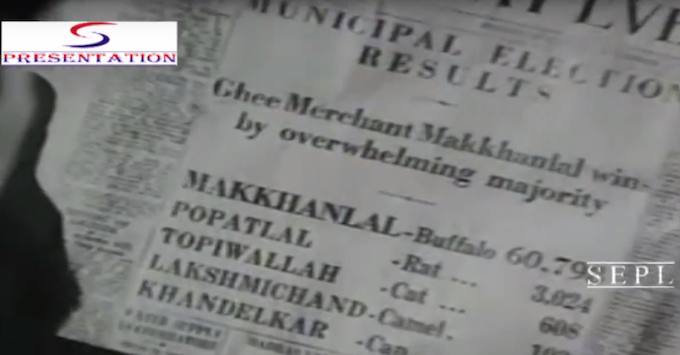 Here is a film made at a time when the optimistic cheer of azaadi was at its peak, and the first of the Five Year Plans had just been launched – yet it is startlingly irreverent in tone. By the last scene, Mr Sampat himself no longer seems so much like a charlatan; his attitude to life appears almost reasonable in a world where, if you’re honest and poor, good times are always just around the corner, but always just out of reach. In Tamil the movie is called Ms. Malini. That helped because the movie is only very very loosely based on the RKN novel Mr. Sampath. Later Cho Ramaswamy (actor, political commentator) did a remake of Ms. Malini in which he played Motilal's role. That was the Tamil Mr. Sampath. Madrasi: thanks. Knew about Miss Malini, and was also told a print is no longer available.